The Avondale Racecourse contains a number of unexpected gems, only found when you are in the company of a knowledgeable guide like Vince. 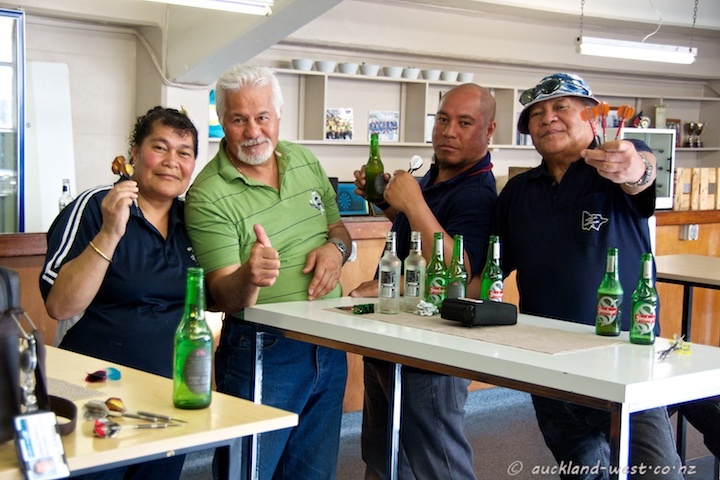 He showed me the way up the grandstand through an unlabelled door where we found a group of people playing darts: they belong to the Niue Auckland Dart Association and were happy to let us watch the proceedings. 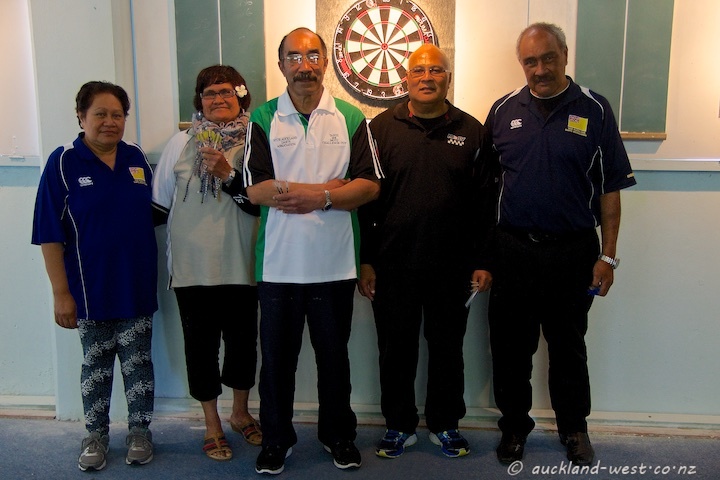 Some of their number were absent, playing a tournament in South Auckland. The premises are those of the Cosmos Dart Club and the Niueans have an arrangement with that club for their meetings. 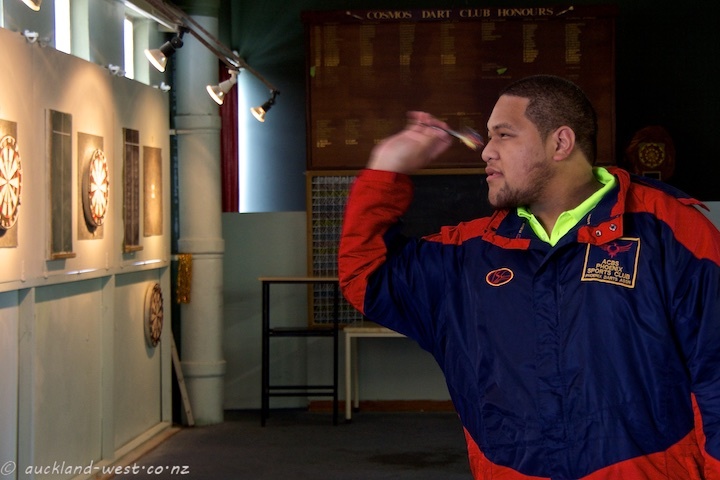 We had a dart board in the house when I was growing up. I wonder what became of it.